Beyonce knows how to make women's fragrances that men love. 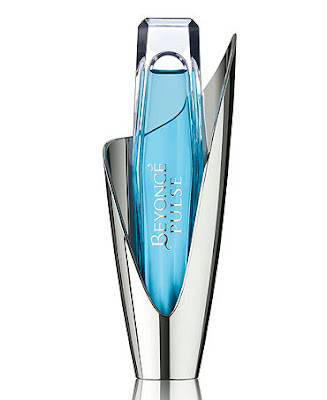 Now, this may or may not be a selling point to you, but I can honestly say her second fragrance, Beyonce Pulse Eau De Parfum Spray for Women, produced as many lovely comments from men as her first, Heat. Her two fragrances share a similar "sweet" cord, but they are different. 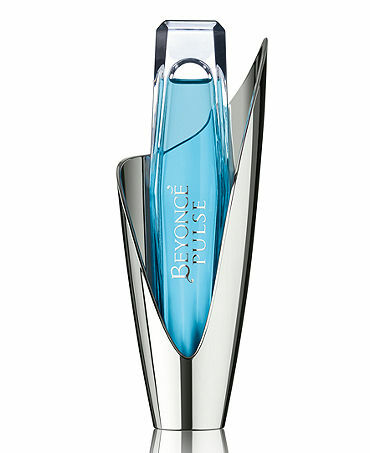 First, the Pulse bottle design is much more ambitious (from a packaging standpoint) in it's attempt to capture the pulse and "energy" of one of Beyonce's laser-filled concerts. The slim bottle filled with clear blue perfume is actually housed upside down in the center of the silver outer "shell". This means you actually pull it out and turn it right side up to press the spray nozzle. Slightly awkward, but I like the overall effect of the bottle. Now on the the scent. Like Heat, the sweetness is prominent from beginning to end in this fragrance, but in the case of Pulse, it's overall feel is much more cool and fresh, which makes this one of my new favorite picks for summer. The freshness comes from more tropical notes, a touch of floral and some nice zest/citrus as well. The opening notes for me were some slightly "alcoholic" notes (from the Blue Curacao Liqueur), along with orange/pineapple and coconut, but these quickly melded into a soft vanilla/pear mix, along with some powdery notes. This made it a slightly creamy fragrance (and that's what many men who commented on the scent when I wore it said they liked the most). The dry down was not as impressive to me as the opening and middle notes (more vanilla and faint sandalwood/musk), but I liked that a very subtle "Pina Colada" essence remained after about 5 hours into the scent. *This product was provided courtesy of Coty PR for reviewing purposes. love and very exclusive blogpost. Thanks for sharing.